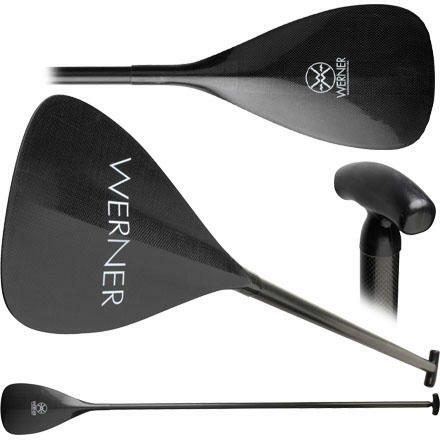 The Werner Spanker Carbon Fiber 1-Piece Stand Up Paddle is the ultimate stand-up paddle. Some things just beg for a good spanking. We're talking about ocean waves, of course. And the Werner SUP Paddle the "Spanker" brings you a lightweight, durable, stand-up surf paddle for all kinds of spanking pleasure. The Spanker's 12-degree bend makes for efficient strokes, and the T-style grip is easy to hold when you meet more resistance than expected. The Spanker works perfectly with your large longboard. 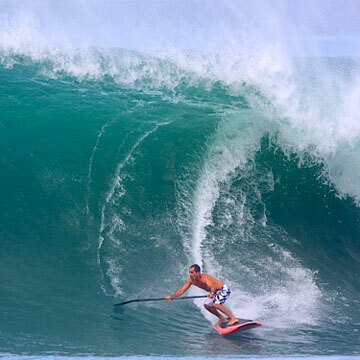 Paddle on rivers, or take this Werner Paddle into the ocean and beat other surfers to the waves.